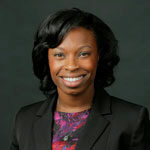 Celina Gray, Director of Advising, came to Penn in Fall 2018. She oversees the Wharton Undergraduate advising program and is the primary contact for Wharton-approved study abroad programs in Germany and the Netherlands and non-Wharton programs. Celina began her higher education career as a professor of classical archaeology, with her research focused on funerary imagery and issues of citizenship and immigration in ancient Athens. She earned her B.A. in Greek from Vassar College & her M.A. and Ph.D. in Ancient History and Mediterranean Archaeology from the University of California, Berkeley. In her spare time, Celina loves to cook, is a Grave Gardener at the Woodlands Cemetery, and is learning to play cello. Celina can be reached at celina@wharton.upenn.edu. Ufuoma Abiola, Associate Director, is the primary contact for students who are interested in submatriculating into the Wharton MBA program and to the Graduate School of Education (Penn GSE). Ufuoma also leads the Wharton Successful Transition & Empowerment Program (STEP). She is the key advising contact for study abroad programs in France, Italy, and Spain. Ufuoma earned a B.A. in Psychology with a minor in African and African Diaspora Studies from Boston College, an M.A. in Clinical Psychology with the Graduate Certificate in Clinical Child and Family Studies from Roosevelt University, an M.S.Ed. in Higher Education and an Ed.D. in Higher Education along with the Certificate in College and University Teaching; Graduate Certificate in Gender, Sexuality, and Women’s Studies; and the Graduate Certificate in Africana Studies from the University of Pennsylvania. In her spare time, Ufuoma enjoys the visual and performing arts and spending time with family and friends. Ufuoma can be reached at uabiola@wharton.upenn.edu. 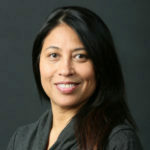 Lisa Burton-Grika, Associate Director, joined the advising team just prior to spring 2019. Lisa prioritizes creating a welcoming atmosphere for any student who walks into her office and invites students to bring with them the traditions, values, circumstances, and beliefs that help define who they are. Lisa is the primary contact for students who are returning from a leave of absence or who request/require additional supports through campus resources including Student Health Services, Student Disabilities Services, and Student Intervention Services. Lisa is a native of Chicago and earned a B.A. in Psychology from Northwestern University and an M.S.Ed. in Psychological Services from the Graduate School of Education at the University of Pennsylvania. She regularly supports and attends live performances, dabbles in creative crafts like needlework and jewelry making, and enjoys traveling with her family and sampling locally-sourced foods. Lisa can be reached at lburt@wharton.upenn.edu. Xiumei (Mei) Long, Associate Director, has a passion for higher education that started with her fulfilling college experience and her teaching experience in universities in China. She loves having meaningful conversations with students about their education, career and personal development and empowering them to maximize what the university and life have to offer. 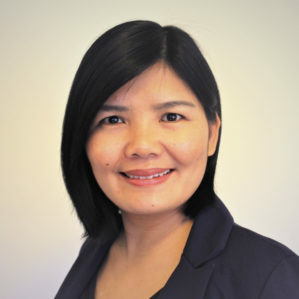 Mei is a globally minded person and enjoys connecting with people from diverse backgrounds and with different interests. She loves yoga and swimming and spends her spare time hiking, kayaking, fishing, crabbing, gardening, and traveling with families and friends. Mei earned her M.S.Ed. in Higher Education from Penn’s Graduate School of Education. Her professional experience also includes working at Penn’s Tutoring Center and Career Services office. Mei can be reached at longxiu@wharton.upenn.edu. Scott Romeika, Senior Director, joined the Wharton advising team in 2003. Scott not only manages undergraduate advising services, but also plays an active role in the development of interschool initiatives, works to build and strengthen international opportunities for our students, and represents the Wharton School on a number of university committees. Scott provides support and guidance to the faculty on academic programs and policies and is responsible for their implementation and oversight. Scott received his B.A. in Psychology from the University of Pennsylvania, and his M.A. and Psy.D. (Doctor of Psychology) from Widener University. He has completed internships in clinical psychology, college counseling, and school psychology settings. Outside the office, Scott enjoys running (scenic and muddy trails are best), music, trivia, baseball (go Phillies! ), and Scrabble. Scott can be reached at romeika@wharton.upenn.edu. Utsav Schurmans, Director of Research and Scholars Programs, manages the Undergraduate Division’s research and scholars initiatives and works to promote research experiences for all Wharton undergraduate students. He oversees the Joseph Wharton Scholars and Wharton Research Scholars programs as well as SPUR and SIRE. He also works closely with faculty from WFCUR and is a liaison to the University with respect to undergraduate research initiatives. Utsav received his Lincentiaat in Archaeology from the University of Leuven in Belgium, M.A. in Anthropology from Arizona State University, and Ph.D. in Anthropology from the University of Pennsylvania. Based on his research in North Africa, the Near East, and Europe, Utsav has published numerous journal articles and edited a book on the use of stone tools during the Paleolithic. Prior to joining Wharton, Utsav taught courses, worked at the Penn Museum, and, most recently, served as House Dean in Ware College House, where he enjoyed advising and mentoring students. Utsav is actively engaged on campus in roles such as principal advisor to the Mayor’s Scholars Program, Open Expression Monitor, and Past-Chair of the Penn Professional Staff Assembly. In his spare time, Utsav plays ultimate Frisbee, travels, and goofs around with his three kids. Utsav can be reached at schurman@wharton.upenn.edu. Liz Sutton, Senior Associate Director, First-Year Academic Initiatives, serves as NCAA eligibility officer for the Wharton Undergraduate Division and as the contact person for study abroad programs in Australia and the Middle East. 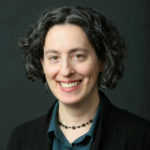 She is the liaison to various academic resource centers on campus including CAPS, the Weingarten Learning Resource Center, and the Tutoring Center. Liz earned her Ed.M. in Higher Education from the Harvard Graduate School of Education in 2010 and her B.A. in Comparative Religion from Tufts University in 2005. She is a dance and theatre enthusiast (sneaking her way on stage when possible) and enjoys yoga, soccer, and NBC’s Parks & Recreation. Liz can be reached at suttonel@wharton.upenn.edu. Teran Tadal, Associate Director, is excited about helping students with their academic journey at Wharton. She manages equity and access programming for Wharton undergraduates including the Wharton Successful Transition & Empowerment Program (STEP), and the Division’s pre-college summer programs. Teran also works closely with the Office of Undergraduate Admissions and is a point of contact for LEAD and LBW alumni at the University. She earned her B.A. in Environmental Studies from Union College (NY) and her M.S.Ed. in Higher Education from the University of Pennsylvania. In her spare time, she loves to travel, to explore Philadelphia, try new foods, play soccer, and write about herself in the third person. Teran can be reached at tadalt@wharton.upenn.edu. 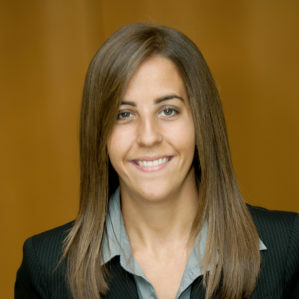 Jenna Tesauro, Associate Director, oversees the Wharton Peer Advising Fellows and their outreach to the student community. She is also the primary contact for external transfer students. Jenna has lots of experience working with students interested in co-curricular programming and leadership, having previously been part of the Student Life team in the Division. She received her B.A. in Psychology with minors in Biology and Philosophy from Bucknell University and her M.S.Ed. in Higher Education Administration from the University of Pennsylvania’s Graduate School of Education. When not at work, Jenna enjoys manically supporting Philadelphia sports teams, traveling internationally, overanalyzing pop culture and visiting the Jersey shore. jtesauro@wharton.upenn.edu.